David Thidiela alleged that the PSL had been ‘completely captured’ by Khoza and his henchmen, and called for a commission of inquiry. 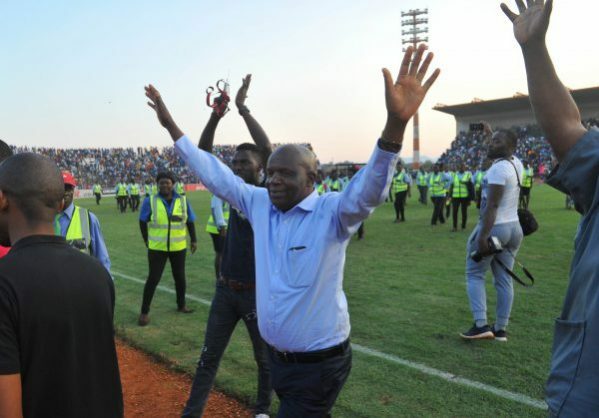 As the South African Premiership gets under way again this weekend after the Christmas break, an off-the-field spat involving Black Leopards boss David Thidiela and Premier Soccer League (PSL) chairman Dr Irvin Khoza is threatening to rock local football to the core. As punishment, the Black Leopards supremo was given a “precautionary suspension” from his role on the PSL executive committee. Then, seemingly sensing the possibility of receiving what has been speculated could be a lifetime ban, Thidiela went on the offensive by launching a scathing attack on Khoza, who is also the vice-president of the South African Football Association (Safa), as well as the Orlando Pirates chairman. In an email sent to Safa’s acting chief executive, Russell Paul on December 6, in which the PSL and FIFA were also copied in, Thidiela asserted that the league has been “captured” by Khoza, and asked that Safa and FIFA conduct a commission of inquiry into the matter. The crux of Thidiela’s grievance, of which some extracts are copied below, is that he feels that Khoza has too much power and that he is running the league in a dictatorial style. “It is my submission that being summoned to appear before the same disciplinary committee has nothing to do with discipline within the NSL or PSL, but has to do with ulterior motives against the Black Leopards Football Club (BLFC) and me, simply because of BLFC and I being more vocal about a PSL that is held at hostage by one man or through a few who surround or are appointed by him. This one man is none other than Irvin Khoza (the current PSL chair). “The current PSL chairperson is so powerful – to the extent that they are capable of deciding the fate of individuals, clubs, some PSL officials, match officials and, consequently, the results of a match. Therefore, only through the envisaged commission of inquiry and the assistance from men and women who are prepared to lay down their lives in the interest of the PSL, will the truth come out and prevail. Thidiela also claims that his rocky relationship with Khoza has spanned four decades, from the time he (Thidiela) worked for the South African Police Services. “It was during the period of my career as a detective in the Saps that I interacted extensively with the current PSL chairperson. I was involved in a number of investigations of some serious allegations during my time as a police detective. Regarding the ruling over Thidiela’s initial charge – the utterances made against Hlungwani, PSL prosecutor Nande Becker was quoted saying just before Christmas that judgment will take place in January, although a date has not yet been announced. Safa are also believed to be reviewing Thidiela’s letter through their legal and constitutional affairs committee, and are set to “revert in due course”.